This extract is taken from a book written by Dave Fox detailing the history of Thornbury Rugby Football Club since its formation in 1963. Dave has kindly given us permission to use the extract on the Thornbury Roots website. Please contact the Club if you wish to acquire the book. “Although the purpose of this book is to recount the first fifty years of Thornbury rugby club that cannot be done without reference to rugby activities in Thornbury prior to its founding. The club begun in 1963 when The Famous Five ( Mike Jefferies, Cliff Barrington, Alan Drinkald, Alan Hodgkinson and Iva Hall) met in The Swan was not the first rugby club in the town. Although details are particularly sketchy, it is clear that strenuous efforts were made in Victorian times to form a rugby club and keep it afloat. A catalyst of these activities was John Evomy Phelps, who lived at 8 Gloucester Road. Phelps was an inspirational character who had played for a rugby club in Fishponds before moving to Thornbury in 1880. Within months of establishing himself in Thornbury Phelps and several other rugby enthusiasts formed Thornbury Football Club. E. Stafford Howard, the local MP, provided a pitch to play on in the extended grounds of Thornbury Castle, his family home. The club met at Stafford Howard’s Castle Coffee. The vicar of Thornbury, The Reverend Thomas Waters, was the first Chairman with Thornbury’s Mayor in 1882/3 Henry Privett Thurston, Vice-Chairman. Phelps became the first captain of the club, and he was ably assisted on and off the field by Charles A Bevis, an Inland Revenue Ride officer who was Honorary Secretary and an accomplished rugby player. John Phelps was the non–clinical assistant to Dr E M Grace, highly-talented cricketer and brother of the legendary W G Grace, who was heavily involved in Gloucestershire County Cricket Club from its formation in 1871. “E M”, or “The Coroner” as he was known, relied extensively on Phelps who although not a qualified doctor, regularly made house calls and delivered babies when Dr Grace was undertaking cricketing duties. Consequently, Phelps was known locally as “Dr Phelps”. The first playing reference for Thornbury Football Club is in October 1881 when Thornbury played Cotham on The Downs. After a well-contested game, Cotham won by a goal and two minors to two tries and one minor. Phelps was outstanding for Thornbury on a heavy pitch, but his team were forced to play with players missing. At this time points were not awarded but kicks at goal were the highest-rated scoring method. A touch-down merely provided the opportunity for the goal-kicker to “try” to attempt to kick a goal. A minor was counted when the defending side were forced to touch-down in their own in-goal area. Phelps kicked a goal and Bevis scored a try in Thornbury’s win over Westbury Park in December 1881 but despite their undoubted skills they were unable to win games on their own. The team struggled and in January 1882 they lost heavily to Clifton Wanderers at Clifton’s Coldharbour Lane ground. The club took to the field again the following season and on 14th October 1882 lost to Arabs on The Downs by a goal, two tries and four minors to nil. It was described as a “vigorous game” but Thornbury players Phelps, Ford, Burt and Bevis excelled. Thornbury hosted Clifton Wanderers the following Saturday, result unknown, but the next match reported upon in the local press was of another game played on The Downs, Thornbury losing again, this time to Redland Park. Thornbury arrived short of players and the team was “filled up from outsiders”. Redland Park won by two tries to nil. In February 1883 Thornbury played Bath club Widcombe Institute and also played Fishponds Football Club and Swindon Rangers, but the results are unknown. Towards the end of the season Thornbury played Arabs at Thornbury Castle but despite good performances from Phelps, Bevis and Thurston the under-strength Thornbury team were well beaten by a team of bigger and stronger players. Whether there was any further rugby after the Arabs game is not known, but on 30th April 1883 at the General Meeting of the Thornbury Football Club it was decided to discontinue the club. “In consequence of there not being a sufficient number of playing members it is desirable to discontinue the club for the present” was the statement given. Captain Phelps and Secretary Bevis resigned. At the Annual Dinner held at The Swan Hotel on May 15th the intentions to mothball rather than wind-up the club were made clear. Eighty diners and guests enjoyed a “capital” evening at which countless toasts were drunk. Dr E M Grace advised that new paying members should adhere to the instructions of the captain, as he felt the players had thus far been loyal to themselves but not to either their captain or the club itself. That, he assured the diners, was why the club had failed. The club was financially healthy but lacked players. 1882/83 had been a bad winter for weather, and agriculture and local trade had suffered. This had clearly had an effect on the priorities and responsibilities of some of the playing members. The activities of the Club ceased. Later in 1883 Howard, Thurston and Phelps were instrumental in founding Thornbury Athletics Club. Howard was “anxious to provide healthy amusement for young men”, and the club was also based at The Castle Coffee Tavern. It is not known how long this club existed, but Henry Thurston, and younger brother Hugh, joined Clifton RFC for the 1884/85 season. In 1886 rugby’s modern scoring system, based on a concept employed at Cheltenham College, was adopted by the RFU. Thus the objective was to score more points than the team’s opponents, but the points bias remained towards the kicking of goals. On September 30th 1886, under the guidance of Stafford Howard and John Phelps rugby players met once again at a field adjacent to the Castle. More players met the following Saturday and Thornbury Football Club was reconstituted. Phelps continued as captain but Charles Bevis had moved away and S H Edwards was appointed Honorary Secretary. Saturday 9th October 1886 saw the first game of the new club. Staged at The Castle, they played Redland Park but lost 12-0, with the visitors scoring three goals and three tries. The Thornbury team was: Phelps; Ford, Hall, Ponting, Abbott; Prewett, Penduck; Porter, Hatcher, Eddington, Pullen, Clay, Boulton, A N Other, A N Other. The following month a Thornbury team short of players lost heavily to Carlton. Early in the New Year Thornbury lost again to Redland Park with forward William Penduck badly injured. The Thornbury team for that game was Ponting; Eddington, Nelmes, Hall, Phelps; Pullen, Fry; Penduck, Clay, Barber, Wilson, Underhill, Prewett, Asholt. It is not clear when Thornbury Football Club was finally wound up, but it appears that the difficulties fielding a team which had contributed greatly to the failure of the club in 1883 had recurred. Playing numbers fluctuated wildly and although there were a significant number of locals intent on running the club Thornbury were disadvantaged in an increasing number of games because of a lack of players. The last known report of a Thornbury match is of a game with Westbury Park in early 1888, which Thornbury lost once more, and there is a reference to a scheduled fixture with St Simons in January 1889. It seems certain that the rugby club had been wound up some time before the emergence of another Thornbury Football Club, this one playing to Association Football rules. The Association Football club was founded in September 1896 as a separate club to The Church Institute Working Mens Club which also played Association Football. Familiar names were involved again, with E Stafford Howard the President and the Chairman Henry Thurston. Former Mayor Henry Hume Lloyd was Vice-President. The Reverend Molyneux Wade-Smith was the first captain, but it unknown what his parish was) as the Reverend Henry Bernard Hodgson was vicar of Thornbury at the time. Several rugby players, including the Eddington brothers, played for the Association Football club. Thornbury’s efforts at establishing a rugby club had failed, despite the significant efforts of influential members of the Thornbury community. It does appear that the players enjoyed their rugby, despite the problems of raising a full side. The diary of W L Jones, an Arabs player of the time, contains the description of an encounter with Thornbury: “Thornbury were a gay group of agricultural fellows who played with great energy. In April 1888 two of Thornbury’s regular opponents, Redland Park and Carlton, met and agreed to form a new club. Bristol Football Club came into being and a new chapter in the history of rugby football in the city had begun. 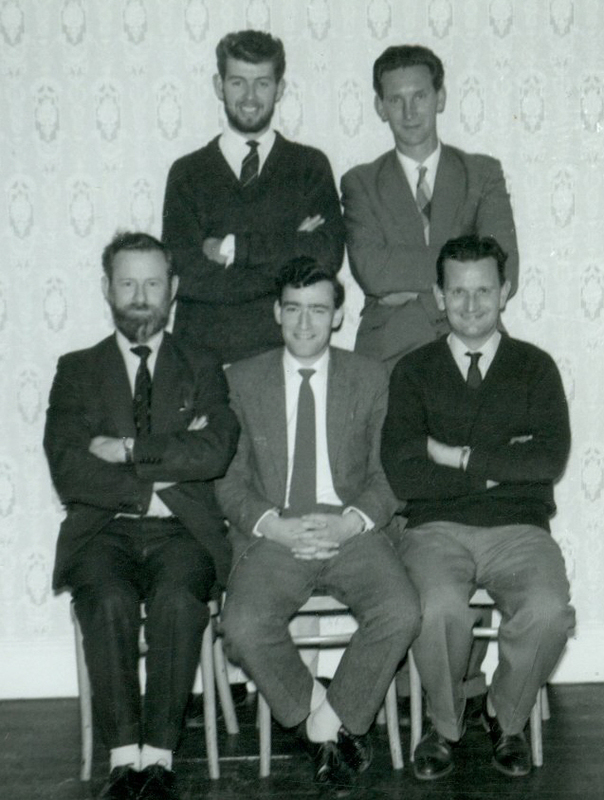 The second attempt to get Thornbury Football Club off the ground coincided with the birth of the first Thornburyite to play rugby at the highest level. Maurice Edward Neale is credited to have been born in Thornbury in 1886, although this is more likely to have been Whitfield where his family lived until moving to Sharpness later in the year. Neale lived on the Berkeley Estate and was educated at Sir Thomas Riche’s School, Gloucester and Prospect House, Dursley. A good athlete, he won boxing, cricket and “jumping” honours as a 17 year old but achieved his greatest fame as a rugby player. He joined Bristol from the Eversley club and is one of a select group of players to play international rugby for the British Isles before playing for his country. Possessing blistering speed off the mark, he was a prolific try scorer and toured South Africa with the British Isles in 1910, played in all three test matches and scored the winning try in the second international. 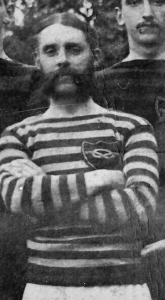 He was top try-scorer on the tour and was Bristol’s leading try-scorer in each of the three seasons following his debut for the club in 1905. He also played for a Combined Clifton and Bristol side against Australia in 1908. Neale was elected Bristol captain for 1911/12 but left early in the season and joined Blackheath, from where he won his solitary England cap against France in 1912. He later returned to the west country and died in Bristol in 1967. Rugby was introduced to Thornbury Grammar School by Headmaster S J V “John” Rouch in 1937 when a teacher, who had formerly played for Cardiff, convinced him of the benefits of playing the game. Soccer had been played at the school from Victorian times. Rugby matches were inter-house at the time and the sport was just getting established when the Second World War broke out and the anonymous teacher joined the armed forces. However, rugby began again in the 1945/46 academic year under the guidance of Mr H W Phillips, with it being the primary sport for boys in the Winter term. From 1949/50 it was played in the Autumn term and under the guidance of Mr Harwood became very successful by 1950. In 1958 a School XV took on the Staff for the first time but two teachers suffered serious injuries in the game. However, things weren’t all gloom and doom as Thornbury Grammar School defeat Dursley 54-0, then a record victory. During this period one player in particular shouldered the mantle as sporting icon – R F Jackson. Roger Jackson was a sporting superstar in Thornbury, excelling at every sport, a gift recognised by the school and used as an example for less capable pupils to aspire to. Considered to be on the verge of legendary status at the school, Jackson’s sporting credentials are remarkable: captain of the school rugby, cricket, football and athletics teams. He later played rugby, football and cricket for Oxford University, gaining Blues in the latter two sports and joining a very select group of sportsmen to captain the University in all three. Jackson also played all three sports for the Gloucester Regiment and the British Army. Jackson played for England in an Amateur Football international with France in 1961 and had Thornbury had a rugby club at the time Jackson would have undoubtedly played for the club in his formative years. Some years later, Roger Jackson returned to Thornbury and was a regular in Thornbury teams as a high-scoring wing. He remains a regular supporter of the club today, and was an avid follower when his sons Quent and Nick played for Thornbury. Many players who were to form the initial teams at Thornbury in the 1960s were high-profile rugby stars at Thornbury Grammar School. Rugby captains John Cypher, David Greves, Mike Brown, Ian Parker and Roger Steer were all to become regular players at the blossoming rugby club. Leading football and cricket player Andy Champion later played rugby for Thornbury before combining a successful career in education with high-quality rugby commentary for BBC Radio Bristol, whilst school soccer captain John Hortop was to become a popular player at Thornbury for many seasons. Players continued to come through from the Grammar School to the rugby club and in 1967 the School rugby team reached the final of the Clifton School’s seven-a-side tournament with scrum-half Bruce Davies, already a regular Thornbury player, to the fore. Thornbury Grammar School was absorbed by the secondary modern “Castle School” in 1972. The school continues to feed Thornbury RFC with players to this day, with Wayne Underwood, the First XV captain for the 2013/14 season, a P E Teacher at the school.